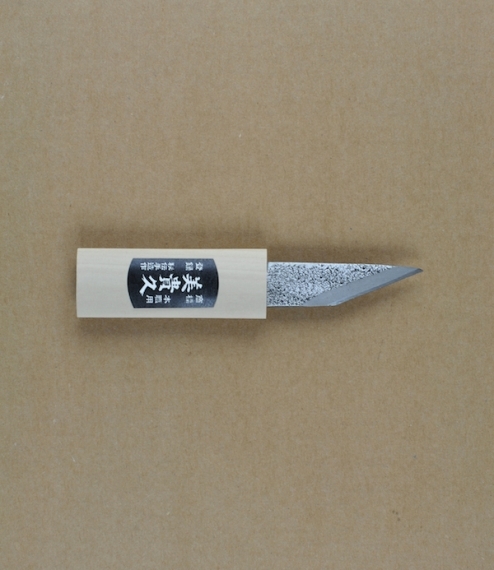 A single right beveled Japanese craftsman's knife made with flexible malleable iron forged to a water quenched fully hardened high carbon steel edge, and hollow ground to the back in the manner of Japanese chisels for faster flatting and sharpening. 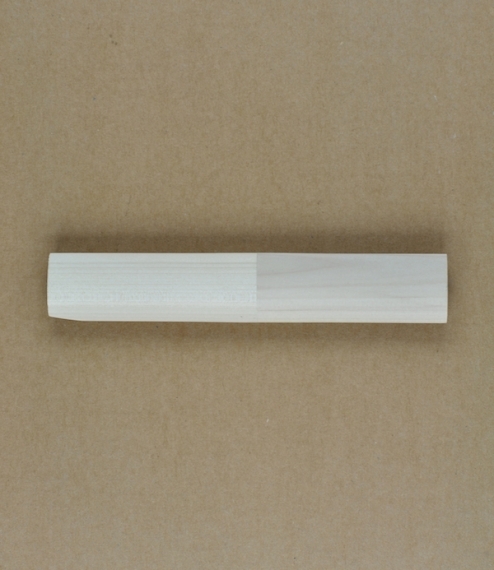 The blade and handle is held securely within a magnolia sheath which is notched at one corner to show the position of the blade for safety and convenience. 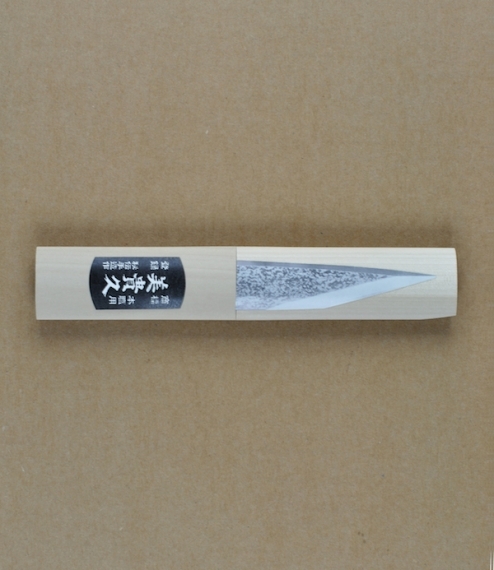 Made by Ikeuchi cutlery of Maki, Hyōgo Prefecture, Japan, a third generation family run forge and cutlers.